It’s the moment! XMind: ZEN Update 2019! The biggest event of the year is more than an update, XMind: ZEN makes thinking a delight rather than a burden. 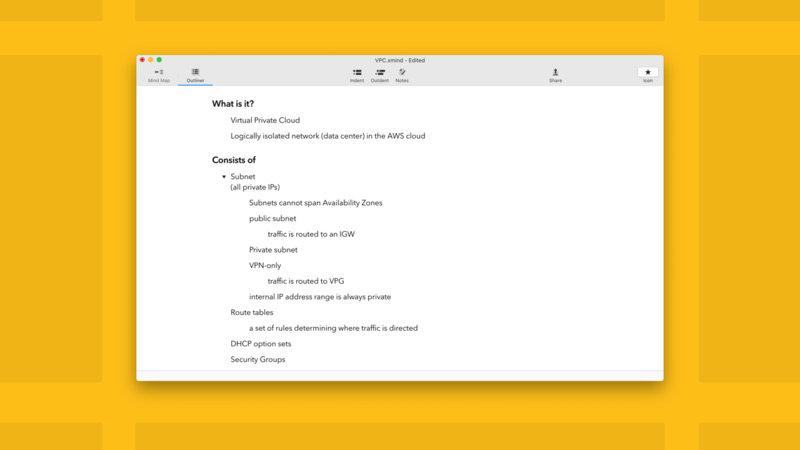 Check the highlight features in XMind: ZEN Update 2019 Big Release. Powerful like you’ve never seen before! No matter review, navigate or re-organize your content, Outliner is always the best choice. 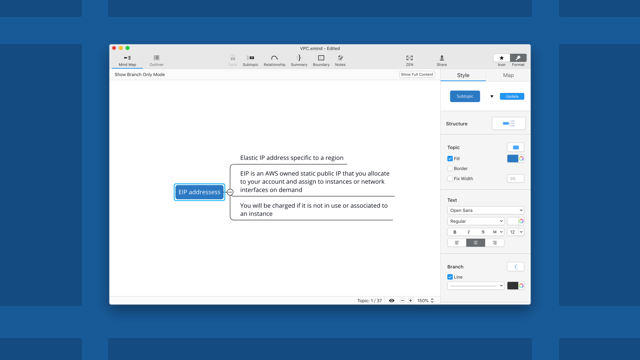 Outliner splits the structure lists of all titles or topics of the document, and presents the content in a clear view. Outline is easy to edit, read, and think and making your content logical and completed. Dark Mode empowers your concentration at anytime of day. Inspiration might fall at dark, and capture them can is easier than ever before. Enjoy creating your own mind and farewell to sore eyes. 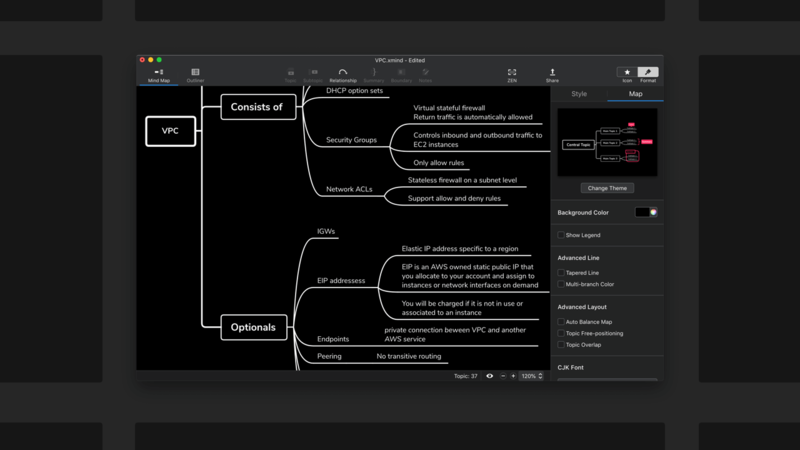 Boosting efficiency while enjoy an aesthetic interface of Dark Mode. Too much content might be a sweet torture sometimes. Show branch only displays the content you want to focus, and keep your concentration on the right track. Reading grand mind map is no longer a distracted thing. Never miss a single inspiration. In Quick Entry, input content can be switched into mind map instantly. Flashing ideas’ capture and visualization can be time-saving and effortless. Never miss any single idea from your mind. More to be discovered! More fun for thinking! Hi guys. Great job. I love XMind for iOS but I use a lot mindmaps in seminars and the presentation mode is really useful in these situations. Therefore, I still have to carry around my laptop to use XMind 8 to be able to use the presentation mode. When will you implement the presentation mode on the iOS version? Hi Mateusz, thank you for your feedback which I have delivered to related department. XMind 8 Pro is capable for saving custom map style. XMind iOS. Now I am forced to buy lighten for both Mac and iOS. This is not fair for existing xmind customers who do not want go into a subscription price model. I am disappointed for the lack of sync. Hi Frank, you can still use iCloud service for synchronization. Please click Edit on the top right corner of XMind for iOS, then you can sync it. Please check if the Internet is stable or not. Yes, I know that Xmind 8 has this function. Nonetheless, is it ok to force users to pay for Xmind 8 and subscribe to Zen? I think it’s not the best way to build solid and trusty community. By the way, is it ok referring to your post about TED show? I think there are some contradictions. Hi Mateusz, I totally understand your feeling and I have delivered it to related deaprtment. We would love to hear your ideas about the TEDxFutian 2018 event, please share with us your thoughts. I have mentioned TEDxFutian in the context of this situation. You claim that your idea is to provide the best mind map software with almost premium quality for free and some additional features for paid users but in the real world, it doesn’t look like that. For now, you provide two apps that we have to pay and combine to meet our needs. I use the Mac App Store version of XMind Zen. May I ask when it will update to 2019 version? The latest version on Mac AppStore seem out of date. 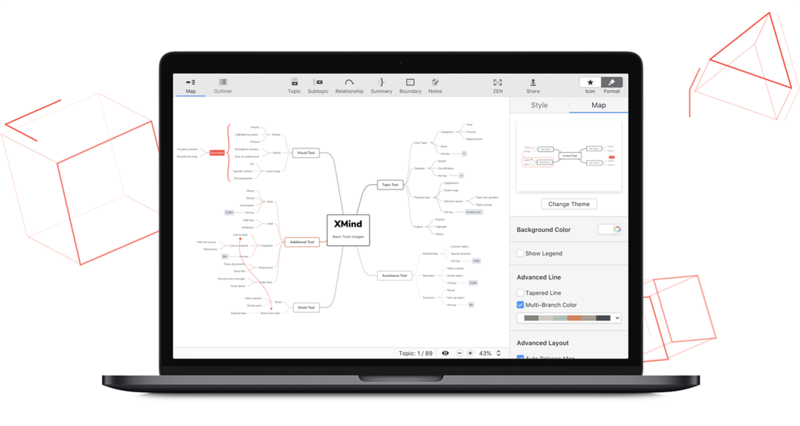 I want Mac App Store version of XMind Zen 2019 instead of Standalone version. When it will update to 2019 version? It is 5 months before the latest update. This is an awesome update! Thanks a lot. 2. Sync between PC and mobile without using 3rd party app. Is there a way to upgrade a license from XMind 8 Pro to Zen? will you continue 2 product lines? 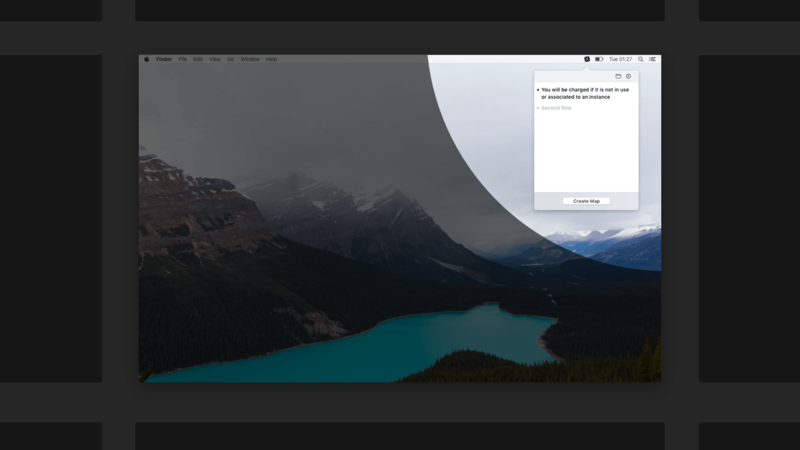 any c chance to get Dark UI in Mind 8? Sorry. We currently do not provide ways to upgrade the license from 8Pro to Zen. We will focus more on Zen and may bring forward more classic 8 Pro features in Zen.